SoftPlanet makes it possible for everyone to get free Textastic download directly from our servers. There is no registration needed for downloading. 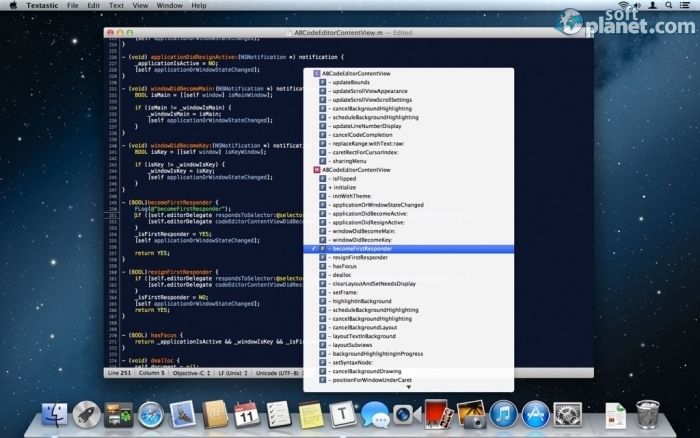 Textastic is a text, code and markup editor for Mac OS X. It is very simple, fast and powerful at the same time. It supports over 80 different source code and markup languages. 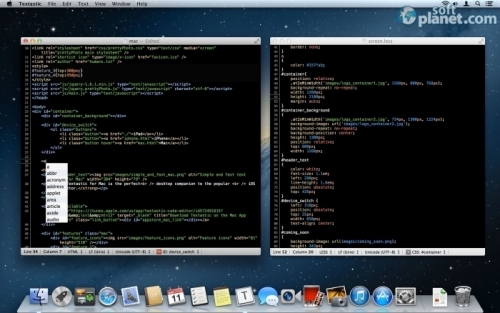 The app comes with a great syntax color engine of the iOS source code editor to the Mac. It is just the ultimate code editing software for Mac OS X developers. Textastic 2.1 is a nice text, code and markup editing program for Mac OS X developers. You can purchase the full version of the software for just $8.99, which is a very low price for such a useful utility that dramatically speeds up the development process. Our security scan shows that Textastic is clean from viruses. The current version of Textastic has been scanned by our system, which contains 46 different anti-virus algorithms. That ensures that Textastic 2.1 is 100% safe for your computer.